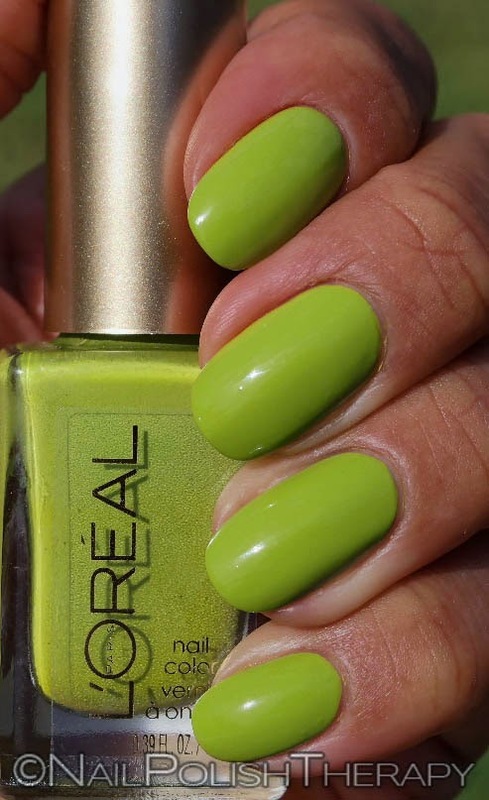 Nail Polish Loreal Get Money, I was feeling really daring since I wore that bright pink the other day so I went into my stash of oh so many untried polishes and found this beautiful creamy bright green. Initially I was going to do some nail art but decided against it because I couldn't commit to anything that wouldn't look really loud and busy. 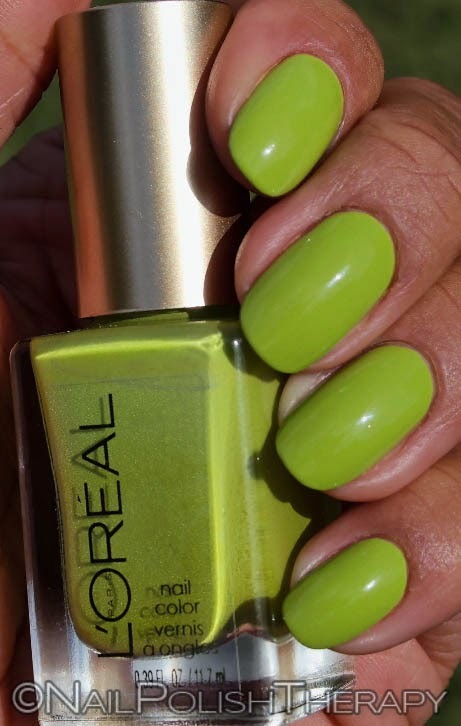 This color applied streaky at first and with the second coat was beautiful in full opacity. It might have been because the polish was a bit old. 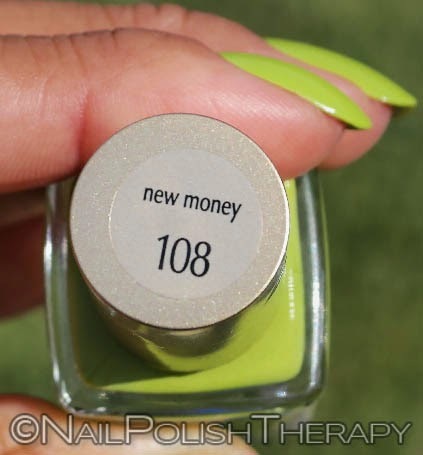 I used 3 coats just because it's how I protect my nails while they are short and growing out. Do any of you have this vibrant beauty?